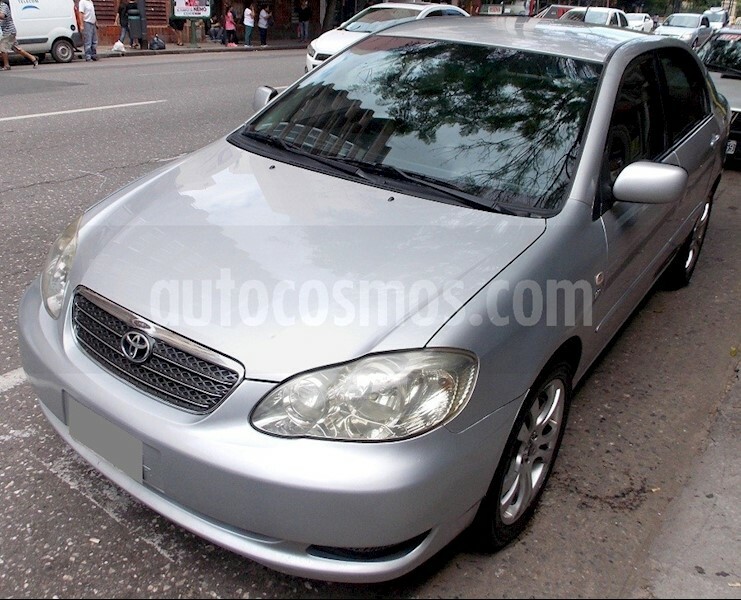 COROLLA 1.6 XLI CAJA DE 5TA AIRE ACONDICIONADO, ALARMA DE LUCES ENCENDIDAS, CIERRE CENTRALIZADO, APERTURA REMOTA DE BAÚL, RADIO AM/FM, ASIENTO CONDUCTOR REGULABLE EN ALTURA, ASIENTO TRASERO REBATIBLE, ESPEJOS EXTERIORES REGULABLES DESDE EL INTERIOR, FAROS REGULABLES DESDE EL INTERIOR., AIRBAG CONDUCTOR Y ACOMPAÑANTE, CINTURONES INERCIALES, FRENOS DE DISCO DELANTEROS, LLAVE CODIFICADA, ALARMA, FRENOS ABS, FRENOS DE DISCOS TRASEROS, INMOVILIZADOR DE MOTOR. VIDRIOS POLARIZADOS, PARAGOLPES PINTADOS, APERTURA INTERNA DE BAÚL Y TAPA COMBUSTIBLE, ALZA CRISTALES ELÉCTRICOS, DOBLE AIRBAG, DIRECCIÓN ASISTIDA, CINTURONES INERCIALES, ALARMA, CIERRE CENTRALIZADO, TAPIZADO DE PANA. FINANCIACIÓN CON TASA UVA FIJA EN PESOS “SIN PRENDA”.